When we opened this I thought that we had consumed an earlier vintage of the same bottle. 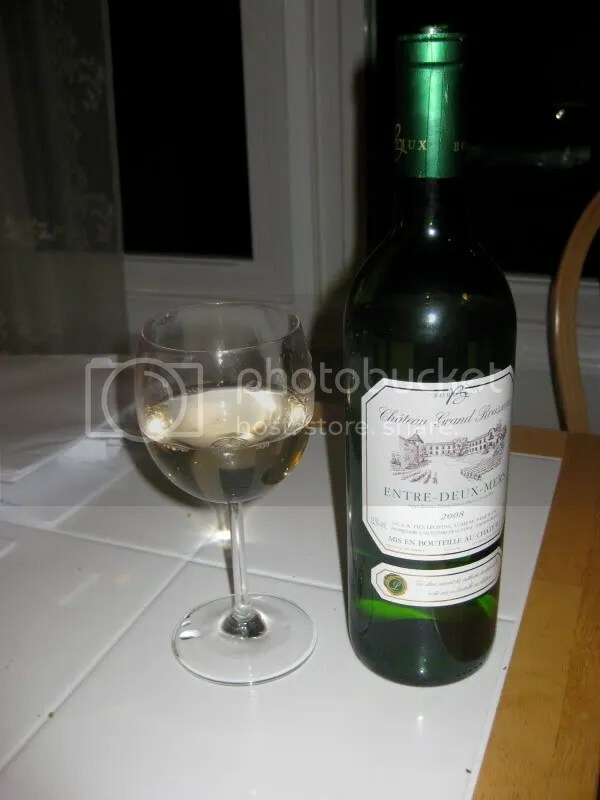 I distinctly remembered the “Entre Deux Mers.” But I went back and looked through the blog, and while we had a bottle with the same title, it wasn’t from the same winery. 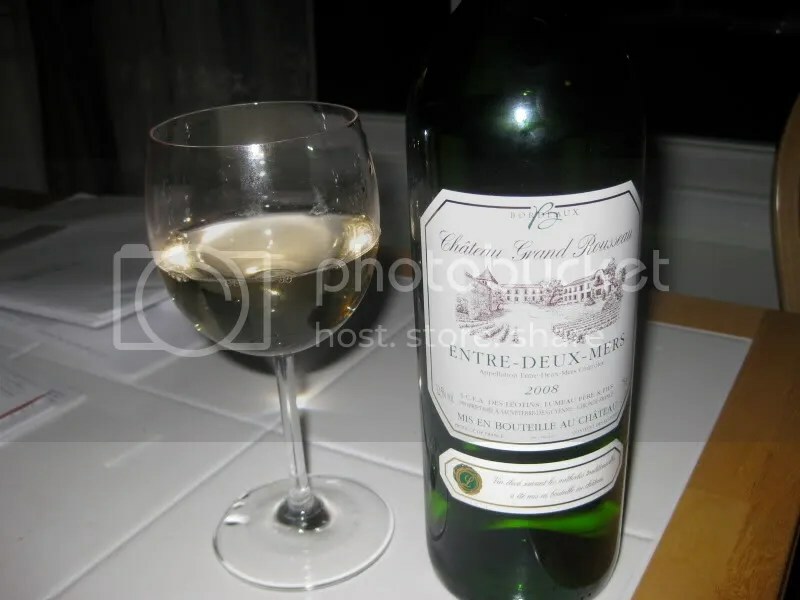 Tonight’s bottle was the 2008 Chateau Grand Rousseau Entre Deux Mers. It arrived in a shipment from a wine of the month club that I got as a gift, had a pressed cork, clocked in at 12.5% alcohol by volume, and I think it retails for somewhere around $10-$13. This bottle was the best of the wine of the month club…I haven’t really been a fan of any of the other wines that came in those shipments…in fact, some of them were downright awful! On the nose I found lemon, melon, lime, tropical notes, apple, white peaches, lime zest, and citrus. In the mouth I got more lime zest, tart peach, citrus, and slight tropical notes. Overall I found the wine to be tart and acidic with a simpler palate than nose. It was very refreshing and easily the best of the bunch from this wine club.